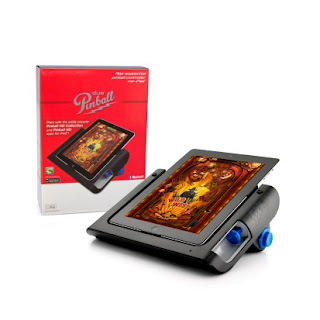 Check Out The New iPad Games from Discovery Bay Games! Discovery Bay Games, an innovative leader in iPad exclusive game accessories, has some great new games for all iPad users! They will keep your children (and You!) entertained for hours! Discovery Bay Games recently partnered with Nickelodeon to develop and launch a brand new product called Dora the Explorer Let’s Play Backpack. 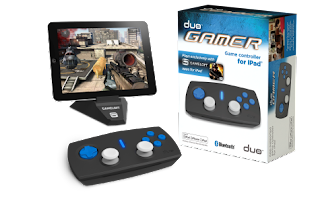 In addition, DBG has launched the Duo Gamer and Duo Pinball accessories as well. And the newest game that just was released YESTERDAY is the Thomas & Friends® Steam Team Station. The Let’s Play Backpack accessory turns traditional screen time into engaging family time on the iPad. 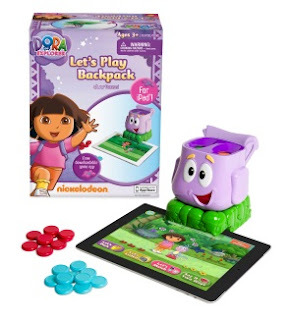 The app features games that reinforce matching, listening and logic skills, as well as Spanish language – all inspired by Nickelodeon’s hit animated preschool series, Dora the Explorer. Each game includes four adventures called: Let’s Listen, Let’s Pack, Let’s Match, and Say It Two Ways. In each adventure, players are presented with two choices that show up on the iPad screen. Players then place tokens on the corresponding spot on the backpack accessory to match their answer. The top of the backpack accessory will spin and collect tokens for each correct answer – no need for scorekeeping or counting. Dora not only brings the fun but also education to young ones! The Duo Gamer takes gaming control to another level. With two analog joysticks, d-pad, four buttons, and two triggers, Duo Gamer allows you to get into the game like never before! Duo Gamer offers Gameloft’s top rated shooter, adventure, and racing games including N.O.V.A 3, Modern Combat 3: Fallen Nation, Asphalt 7: Heat, Brothers in Arms 2: Global Front, Order & Chaos Online, and more! Duo Pinball allows you to experience some pinball wizardry and relive your favorite arcade moments. Flipper buttons and a spring-loaded plunger make pinball gameplay unbelievably real! Duo Pinball unlocks five free tables in the wildly popular Pinball HD Collection app (available on the App Store). Play Wild West, The Deep, Snow, DaVinci, Jungle Style, and more for a full-tilt gaming experience! Thomas & Friends Steam Team Station, the app-supported active play device for iPad, gets kids jumping, skipping, and racing with all of their engine friends. The app comes with three games – Steam Engine Relay, Sodor Spot-It, and Seek & Find Adventure. Six engine cards, including Thomas, Percy, and James, along with other engine favorites, interact with Steam Team Station, the app and iPad for action-packed adventures on the Island of Sodor. 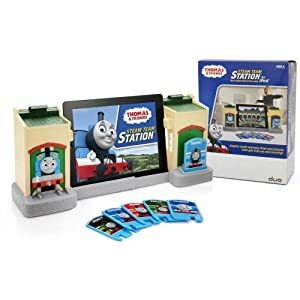 Perfect for ages 3 and up, the Thomas & Friends Steam Team Station accessory is now available at Apple Stores and Apple.com, Amazon, Target, and Toys”R”Us for $39.99. The Thomas & Friends Steam Team Station – Duo App is available for free on the App Store.